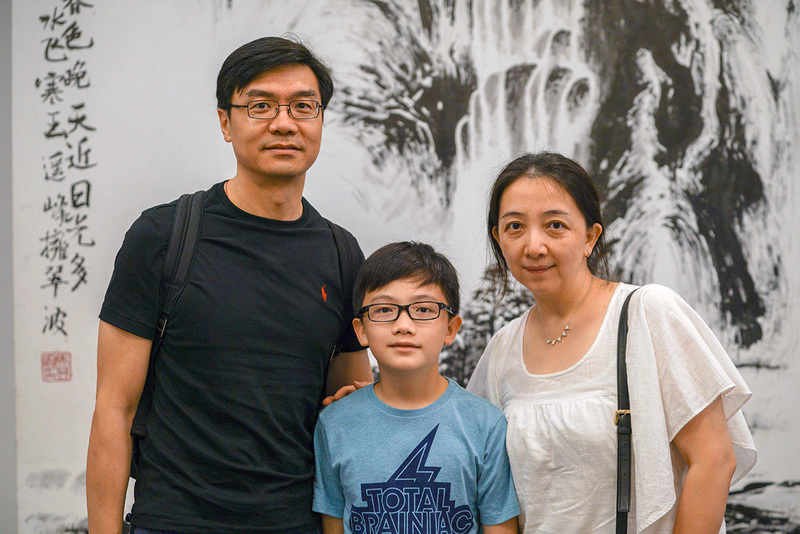 More than 300 new families joined the International School of Beijing (ISB) community this week. We got to know five of them as they were acquainted with the ins and outs of the school during the New Family Orientation Day last Friday. The Stenström Kontors, Dais, Puntsos, Jangs, and Wangs had a lot to say about why they chose ISB, such as its whole-child education, program of co-curricular activities, and its academic record. The Stenström Kontors are a Swedish family of four: mum Claudia, dad David, Neo in seventh grade, and Milo in fourth grade. Though they have spent the past five years in their home country, they are experienced expats, having previously lived in Kuala Lumpur, Malaysia. They are in Beijing for David's work as general manager of a car company, while Claudia is taking a break from her job as a marketing manager within the fashion business. From left to right: Milo, Claudia, and Neo. Why did you choose ISB for your family? Claudia: We were impressed with the facilities and opportunities offered at the school, but mostly we liked the energy, dedication and positive attitudes from teachers and staff. ISB is a school that really has the child in focus; to prepare them for the future, the curriculum is well anchored in the challenges of today. We feel our children are getting the best possible foundation and knowledge for their future academic choices, whatever they will be. As parents, we also liked the focus on the arts, something we believe is important to be a complete individual. It is amazing to hear the Head of School talk about the importance of taking care of the whole child, not just the academic part. This is especially important when you are new to the school and transitioning from another country. That ISB also is a non-profit school is a big bonus! How did you find the New Family Orientation Day? Claudia: It was mostly a fantastic opportunity to hear more about the philosophy of ISB from the principals and other staff members. Again, we are impressed with the dedication of all members of staff. The positive energy is very important. This Chinese family emigrated to the United States two decades ago, but dad Bing has been working in Beijing at an international hospital for two years. It was through strong, positive word of mouth at his workplace that he was aware of ISB, and he and mum Xuan were impressed by the facilities and culture at the school when they visited, believing their son Dylan (grade 6) would feel at home here after studying in the West. Daughter Amelia has also joined grade 2. From left to right: Bing, Dylan, and Xuan. Bing: A lot of colleagues' kids are at ISB, so I feel like I know ISB very well. One of my colleagues' sons graduated from ISB and has just been enrolled at Princeton University. That academic success was a big factor for us, and also we visited the school a few times and really liked the teachers and campus. There is such a variety of sports on offer here for our children to try. What do you hope for your children as they begin their time at ISB? Xuan: I hope the transition will be smooth. The important thing is that they feel comfortable in this environment, and we feel comfortable, so I think they will adjust well. This is the closest we can find to the school environment Dylan was in in the United States. Whenever we ask Dylan what he thinks about the city of Beijing, he says "noisy, a lot of cars," so that might take a bit of adjustment. But there is no question that our kids are very excited to join the school. Bing: Our hopes are that they will fully develop their potential, whatever their potential may be. The Puntso family singlehandedly gave a significant boost to the size of the student population at ISB, with five children enrolled at the school. Peter is in grade 3, Grace is in grade 6, Loviise is in grade 9, Raima is in grade 10, and Emily is in grade 11. The Americans are excited to be in Beijing after 13 months in the southern Chinese city of Guangzhou, where mum Paige had been posted by the US Foreign Service for language training. She is undergoing more training here before a three-year stint at the embassy. From left to right: Raima, Emily, Paige, and Loviise. Why did you choose ISB? Emily: We had been to a bilingual school in Mexico and that didn't work out so well, so we tried an international school last year. The language of instruction was English and it was a much better experience, so we wanted to find another international school. Paige: It's important to be surrounded by diversity. As clichéd as it might sound, these kids are global citizens. They have to learn how to maneuver in a global community. I've heard good things about ISB, about how academically rigorous it is, but what I've learned today is that ISB students don't learn by rote, doing math problems in repetition. There's a rhyme and reason here and it's purposeful education, which I'm all about. What are you looking forward to at ISB? I plan to join the cross-country team and am excited for the co-curricular activities. It'll be fun and I'll get to meet lots of new people. 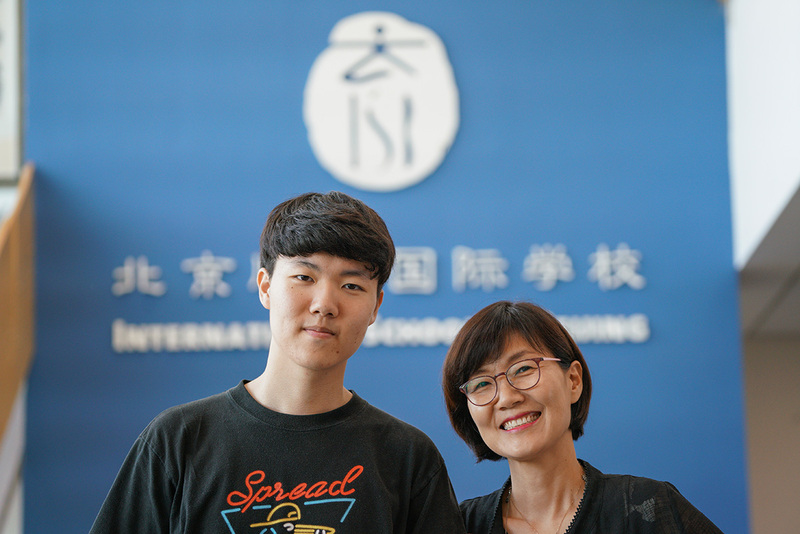 When Korean government official Minwon Lee earned the opportunity of a one-year fellowship with the World Health Organization in Beijing, she gave her son Joonkyu Jang (grade 10) the choice of coming with her to the Chinese capital or remaining with her husband and daughter in Seoul. For Joonkyu, it was an easy decision. He explained his belief that the international, multilingual environment at ISB, plus the choice of courses within the curriculum, will really benefit him. From left to right: Joonkyu Jang and Minwon Lee. What attracted you to Beijing and ISB? Joonkyu: I could have stayed in Korea but I thought having new experiences will help me in the future. I'm looking forward to improving my English and Chinese. There are a lot of good facilities on the campus here. I want to try a lot of sports that I wouldn't be able to try if I didn't come. My education can be more diverse because I can pick from different curriculums. The community seems really strong and I look forward to making new friends. Minwon Lee: We had a wonderful experience at an international school in Paris, where we lived for three years. International schools provide a really good grounding for kids in helping them understand other cultures and learn languages. My friends recommended ISB as the oldest and biggest school in Beijing, with a well-organized curriculum and activities. What have been your impressions of ISB so far? Minwon Lee: I was impressed to hear from the principal this morning that the school does not just focus on academics, but also teaches them a sense of responsibility. I think education should be very balanced. The Orientation Day has been very good, and important – because there's a lot to understand. We've been able to achieve many things in one place – get information about activities, deposit money for his lunch, get information about the PTA. I will try to join the PTA coffee mornings. Allan W (grade 6) was born in New York and has since attended an international school in Hong Kong before arriving in Beijing a month ago, a journey based around his mother Helen's work as an investment banker. The family are confident that Allan will fit in well to ISB's international culture and that the school's curriculum design will ensure a smooth transition in his planned path of further study abroad. From left to right: Allan and Helen. 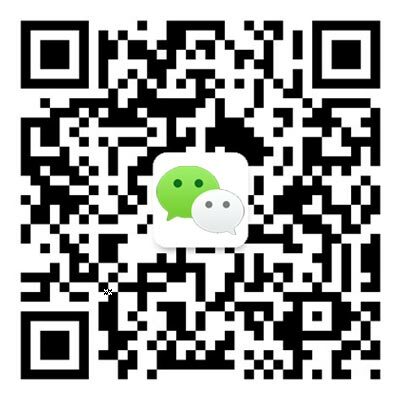 Helen: I did a study of international schools in China, and asked, "If I am going to relocate to Beijing, could we find a suitable school for Allan?" He's outgoing, he loves sports, and he's very direct. There are three reasons we chose ISB. First, the culture was the most similar to his previous schools, and the curriculum was most practical for his future career – he can choose to study for college in the United States, where he was born and I spent most of my career. Second, I think the value system of ISB fits the value system of our family. Third, the faculty members. Allan: I am pretty nervous because I know this is a great school, but I'm really looking forward to studying the main subjects – math, science and writing. How did you find the application process to ISB? Helen: The admissions director encouraged us to apply and was very helpful instructing us to send all the materials. Allan was admitted within three days of me submitting all the paperwork. I asked each of Allan's coaches – soccer, tennis, swimming and vocals – to write references.